The Chinese government is clearly using extreme cheque-book diplomacy to pull Taiwan’s allies away. Countries with diplomatic ties to Taiwan (officially the Republic of China) are blackmailing Taipei before ditching ties in favour of diplomatic relations with Beijng. In December 2016, Sao Tome and Principe ended its 19-year relationship with Taipei the same way El Salvador did. 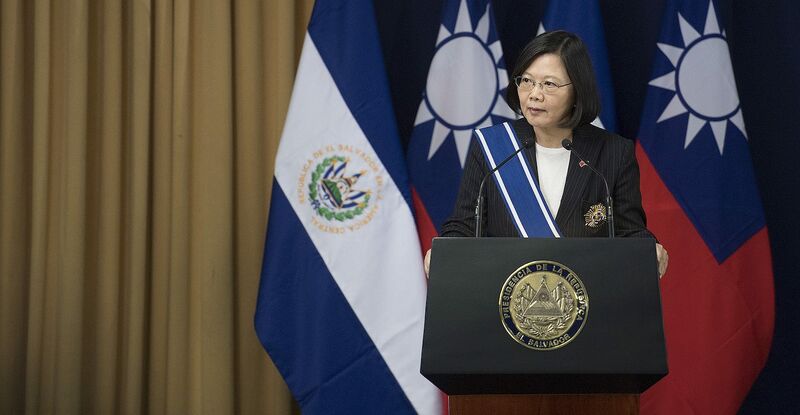 It had allegedly asked for US$200 million for financial aid that the Taiwanese government thought was exorbitant – Taiwan’s foreign minister called it “astronomical”. Sao Tome responded by ditching diplomatic ties with Taiwan. Chinese netizens are also stepping up their campaign against Taiwan. During a recent trip to the US, Taiwan’s President Tsai Ing-wen visited 85 Degrees Celsius Bakery Café, a Taiwanese business outlet in Los Angeles. Soon, social media users in China were in uproar and the founder of the franchise had to declare his support for the “1992 consensus” that there is only “one China” and that Taiwan is a part of China. There was no indication that he supported Tsai or the ruling Democratic Progressive Party (DPP) in Taiwan. First, during the Pacific Island Forum last week on Nauru, there was a diplomatic row as the President of Nauru Baron Waqa refused to let the Chinese envoy (who was only a diplomat) speak before the prime minister of Tuvalu. Nauru and Tuvalu are two of Taiwan’s 17 remaining allies. The Chinese envoy stormed out of the meeting and Waqa later described him as “insolent”. Second, several American senators from both major parties introduced aTaiwan Allies International Protection and Enhancement Initiative (TAIPEI) Act on 5 September which, if passed, will require the US to strengthen Taiwan’s standing around the world in response to the prospect that all of Taiwan’s remaining allies might break diplomatic ties. The fraught politics can produce strange outcomes, too. Last week, when the Chinese embassy in Japan provided buses to pick up stranded Chinese tourists in the aftermath of Typhoon Jebi, Taiwanese tourists were reportedly told that they could board the buses if they considered themselves “Chinese”.